This geo tag is begging to be moved to a new geocache. 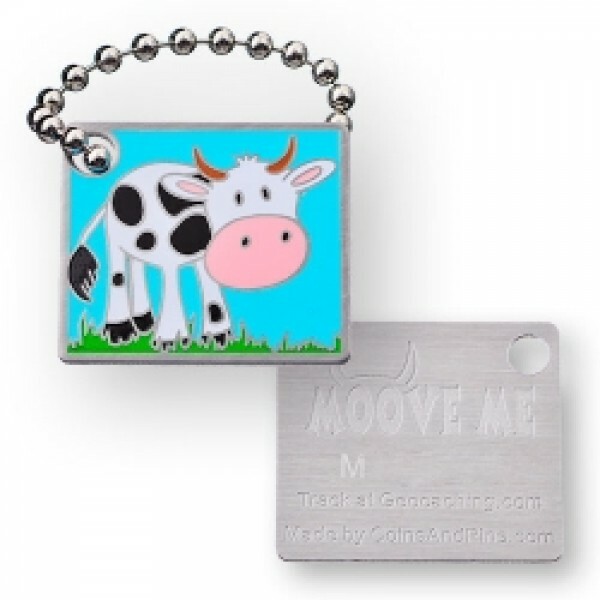 The Moove Me tag is perfect for traveling from geocache to geocache. Get some of these trackable tags now to send them around the world.